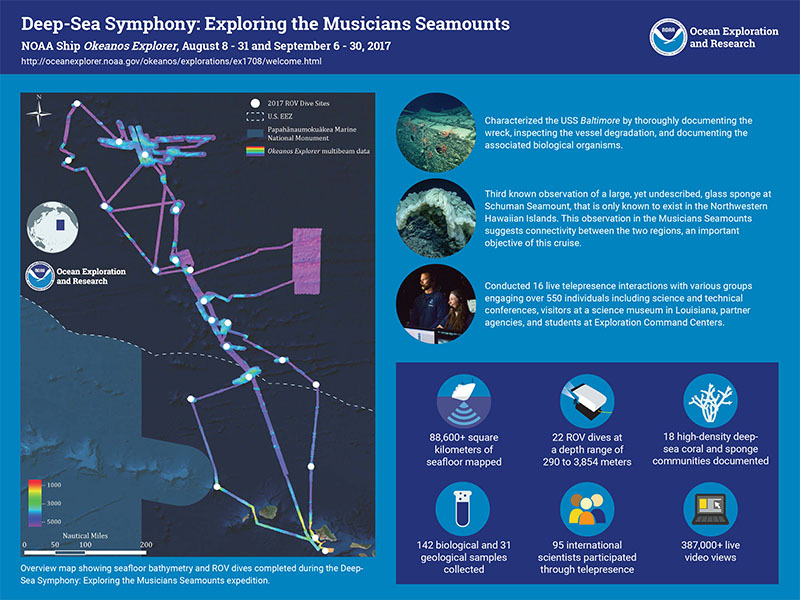 The Deep-Sea Symphony: Exploring the Musicians Seamounts expedition was a 49-day telepresence-enabled, two-part expedition, to collect critical baseline information about unknown and poorly known deepwater areas of the Musicians Seamounts that lie just outside the U.S. EEZ. 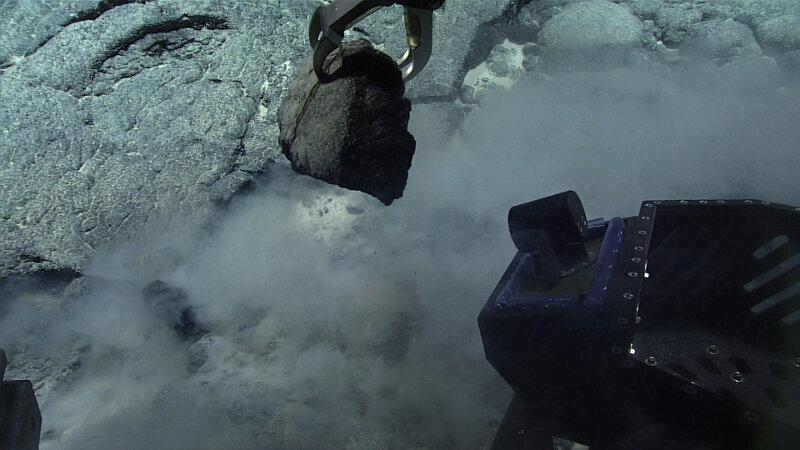 Despite the short amount of time we participated in the Deep-Sea Symphony expedition via telepresence from Seattle, Washington, we acquired a wealth of data we will use to explore scientific questions about plume-fracture zone interactions. 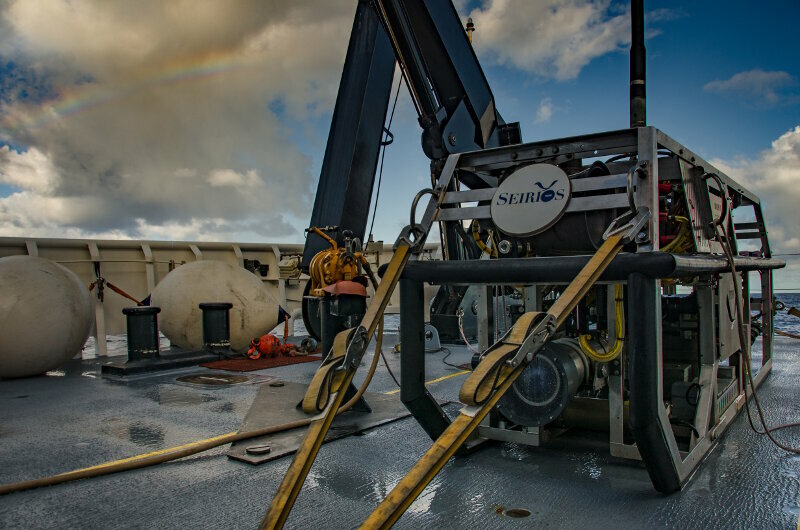 Much like its namesake, remotely operated vehicle (ROV) Seirios acts as a brilliant source of light in the “night sky” of the ocean, providing illumination and a wide-angle view from above for its counterpart ROV, the Deep Discoverer. Today was our last dive in the Musicians Seamounts during the Deep-Sea Symphony expedition. 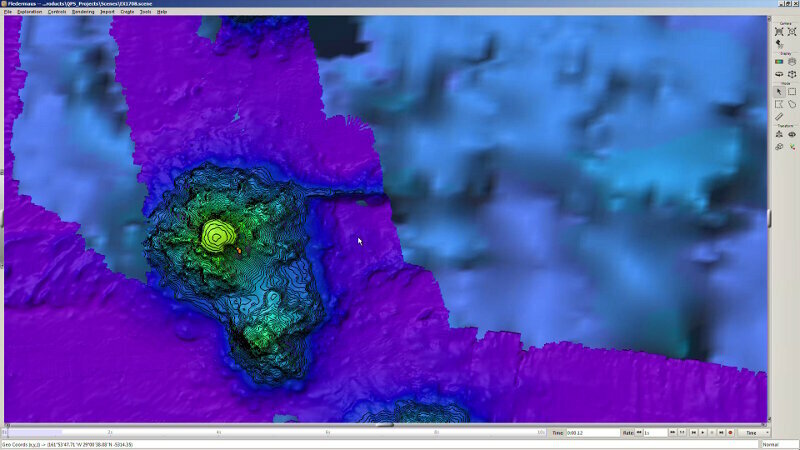 We had two amazing weeks conducting the first-ever remotely operated vehicle exploration in this region. Here are some of the high notes from the dives. Four times after a dive to the seafloor, we explored the midwater – a short tour before recovering the vehicles for a restful night aboard NOAA Ship Okeanos Explorer. On two special days, we engaged in a marathon of exploration with full-day midwater dives – prime time for our community. After collection of expedition video data is complete, video annotators at the University of Hawaii combine animal identifications and habitat observations using the Video Annotation and Reference System software. 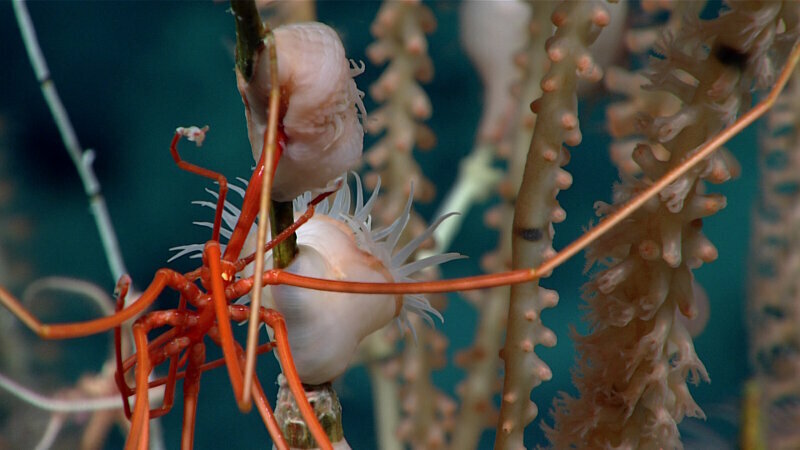 These data will then be available in the NOAA Deep-Sea Coral Research and Technology Database. NOAA Ship Okeanos Explorer has been fortunate to have many skilled and knowledgeable NOAA Corps officers on board. 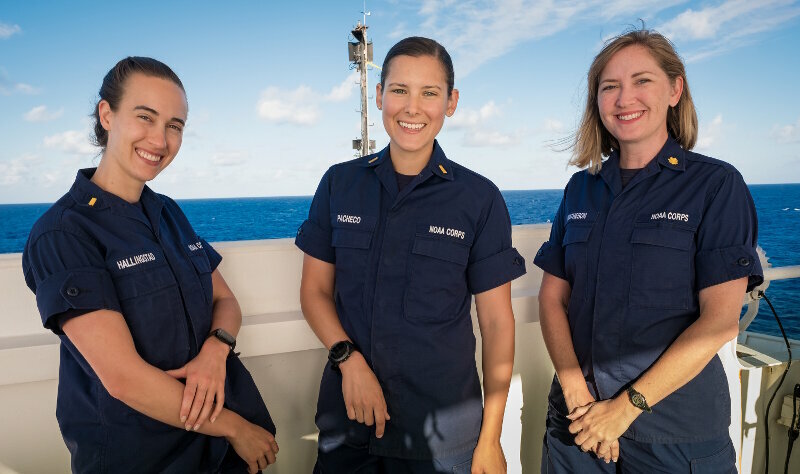 The first time the ship had three female officers on board was during the Laulima O Ka Moana: Exploring Deep Monument Waters Around Johnston Atoll expedition. They are together again on our current expedition. September 16, 2017 | By Eric Mittelstaedt, Ph.D.
Eric Mittelstaedt is a geophysicist from the University of Idaho. During the Deep-Sea Symphony expedition, his goal was to collect rock samples and to use new maps of the seamounts of the Musicians seamount chain to improve our understanding of the origin of volcanoes on the seafloor. 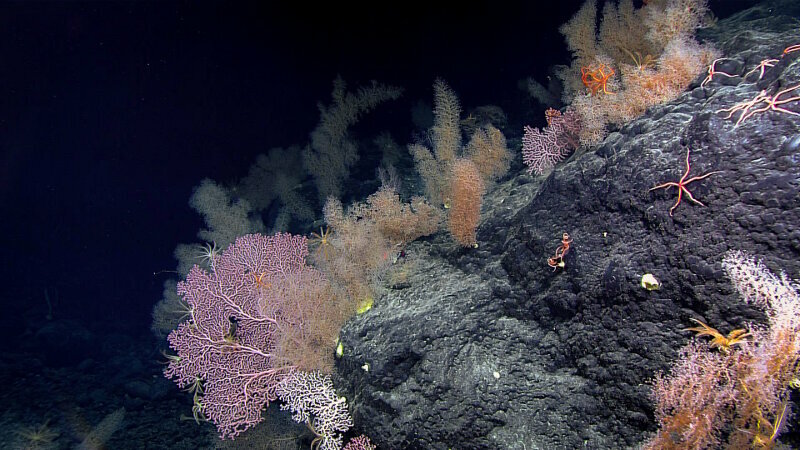 The exploration of remote, deep-sea locations can be expensive and challenging. 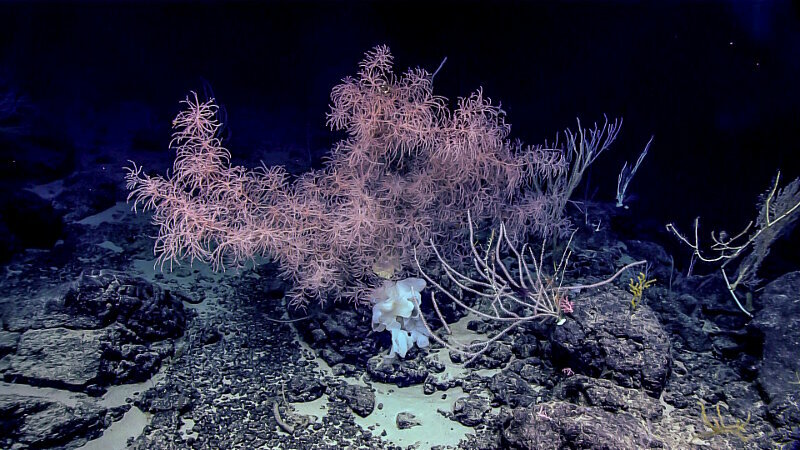 Habitat suitability modeling has become a cost-effective tool to help researchers prioritize areas and maximize deep-sea mapping and exploration efforts. 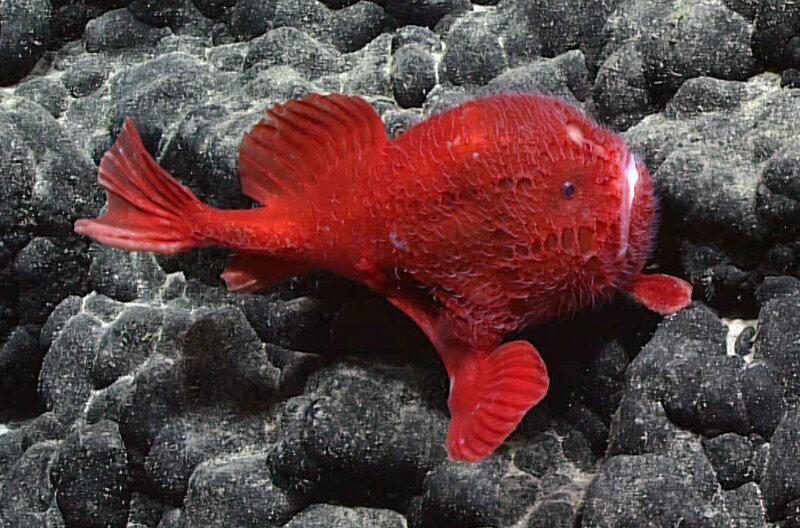 On September 8, 2017, this bright-red sea toad (Chaunacops species) was seen during a remotely operated vehicle dive at a seamount ridge, dubbed “Beach Ridge,” in the Musicians Seamounts. Its identity is a mystery. 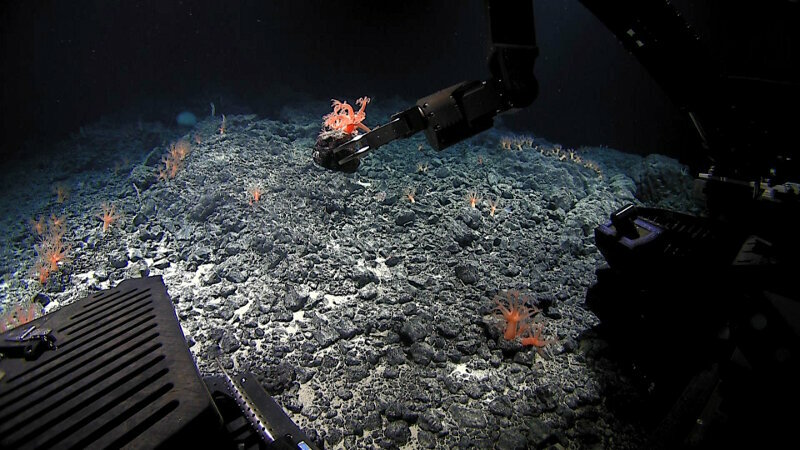 The Musicians Seamounts offer a unique opportunity to expand our geological knowledge of fracture zones, hotspot volcanism, and how these features interact in areas where they coexist. 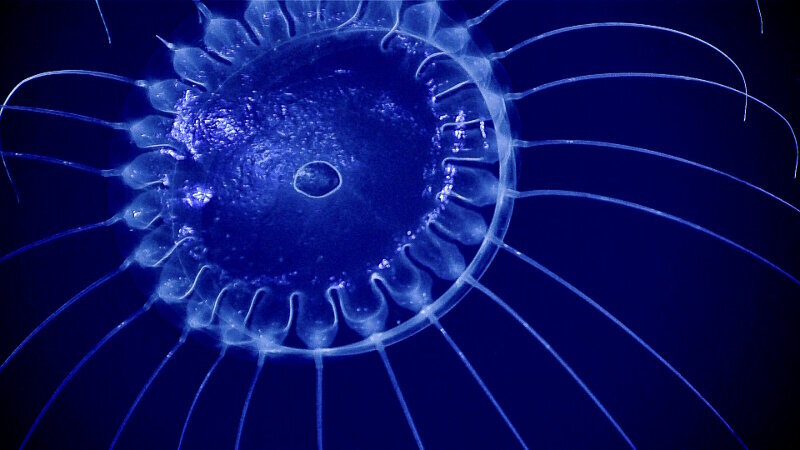 Our first two dives in the Musicians Seamounts proved to be nothing short of a masterpiece.